Architectural — Plastic 12" scale divided in 3", 1-1/2", 1", 3/4", 3/16", 3/32", 1/2", 1/4", 1/8" to the foot. One division in 16 parts to the inch. 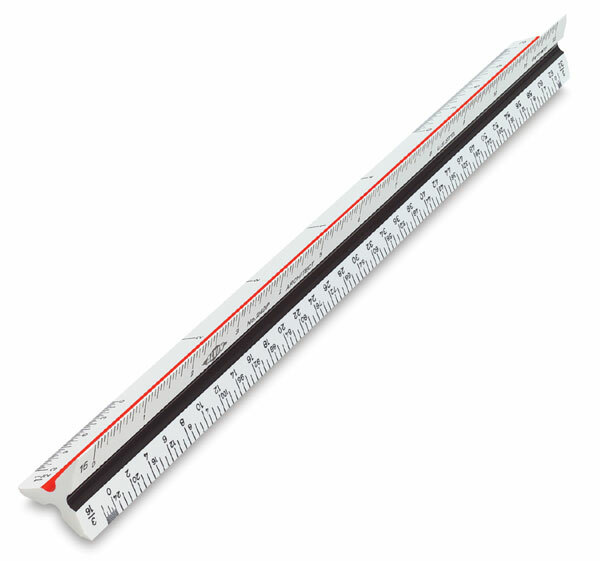 Engineering — Plastic 12" scale divided in 10, 20, 30, 40, 50, and 60 decimal parts to the inch.